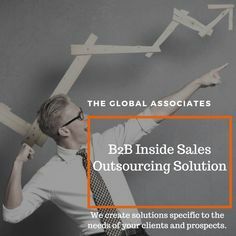 Sales organizations like The Global Associates are often forced to adopt new marketing strategies in order to Generate Business Leads on a regular basis, however, the marketing goals have more or less remained the same: more leads and better conversion ratios. The fast changing business scenario over the past two decades has ensured that one cannot stick with old, time-tested tools forever, one must devise new and more effective strategies to successfully generate business leads and stay on top of the ladder. Even though some of the older tools can still be made effective with some adjustments and innovations, the changing demographics of today’s customers and recent technical advancements make it necessary for sales people to change the way they interact with the buyers. Following are some of the most effective marketing strategies to create fresh opportunities without fail. There is a need to personalize your dealings today in order to attract prospective buyers and generate business leads. Surveys show that most people prefer to change brands if a company fails to personalize their communication. It’s very important, therefore, to focus on a personalized approach, especially in areas like email marketing and content writing. Creating personalized content will help you connect well with the customer and retain them for a longer time. Blogging has become an effective tool for generating quality opportunities; strive to create content to help readers solve their problems, peak interests and entice sales. The frequency of your blogs will also affect your ability to lure traffic, so you have to create and publish content more regularly. Increased blog traffic will enable you to generate more leads in a proportional manner, also impacting the type of quality leads you produce. Try to gradually identify which posting strategy generates the right type and amount of leads for your organization. Email campaigning has always been considered one of the best strategies to generate business leads especially due to the positive results and low cost involved. It proves very effective for answering prospect queries and promoting products/ services/ content. You can even use non-promotional emails to good effect for certain purposes like finding influencers and referrals or getting desired contacts, basically using it as a touch point in the entire sales process.